Personalised Engraved Silver Plated Bambino Musical Box. 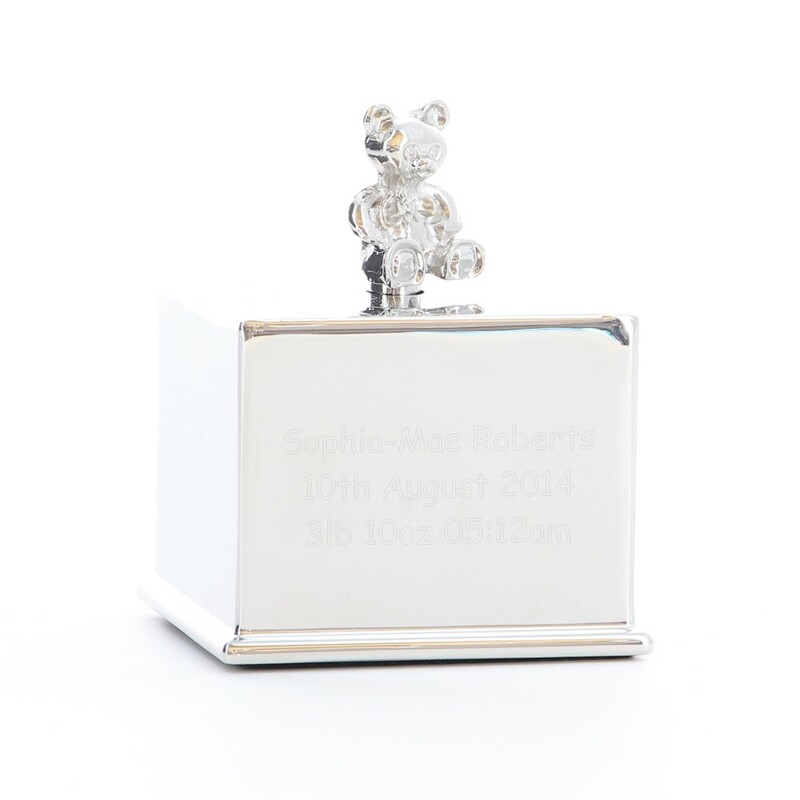 This beautiful silver plated music cube measures 60mm x 40mm x 40mm and is engraved on the front of the cube. The silver plated teddy bear on top spins when the music is playing. Makes a perfect Christening Gift and also great for a 1st Birthday or New Arrival present. Why not purchase it as a memento for a Baby's 1st Christmas!